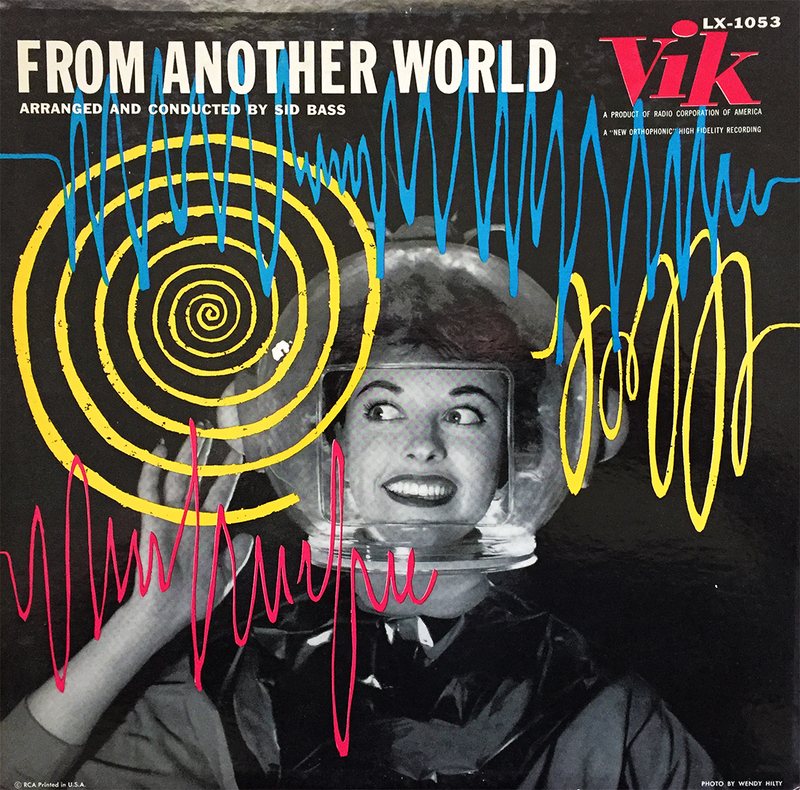 I knew little-to-nothing about Sid Bass prior to his 1956 release on RCA’s Vik label, titled From Another World, but I was instantly sold by its engaging space-themed cover art. I mean, look how happy this space lass is! Doesn’t it just scream space age shenanigans? The upbeat mix of jazz-pop-easy-listening intertwined with hints of atmospheric warbles has both feet firmly planted in 1956, and its head far beyond the silent stars. Another space age pop acquisition for a (very) reasonable asking price. 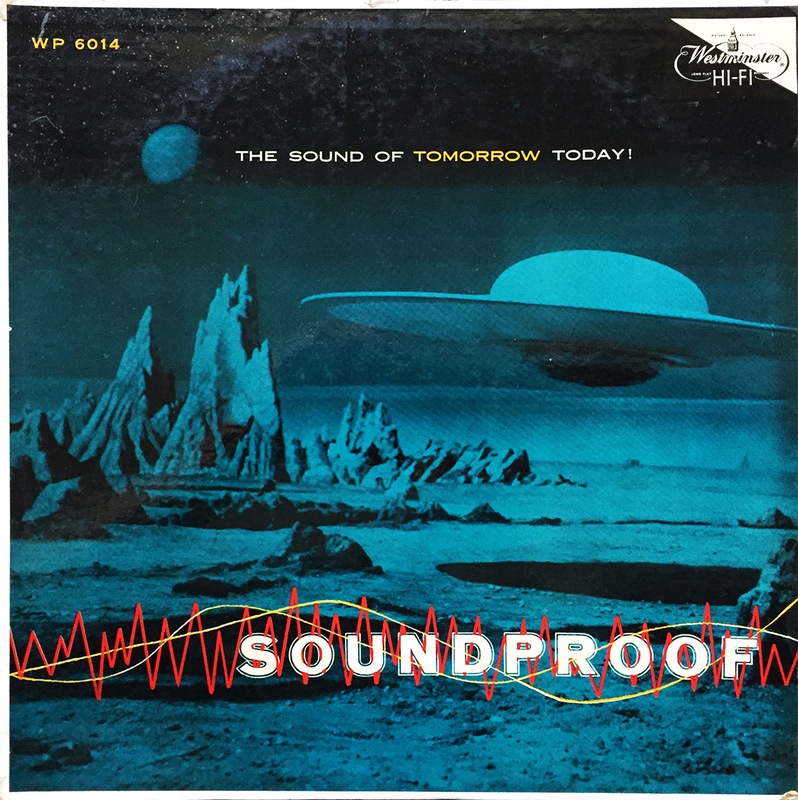 This 1958 demonstration record is something of stereophonic lore. 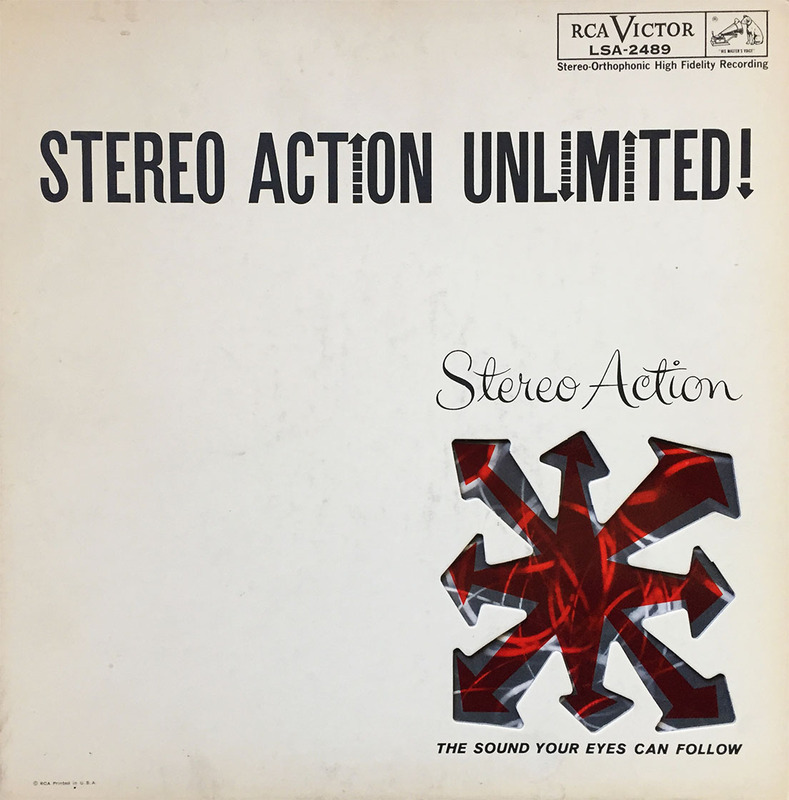 Capitalizing on the space age pop theme of the time, RCA Victor took it upon themselves to showcase, complete with narration, the dramatic differences between the older, far-less superior monophonic, single-channel sound recording (this, of course, depends on who you ask), and the brand-spanking-new stereophonic technology. 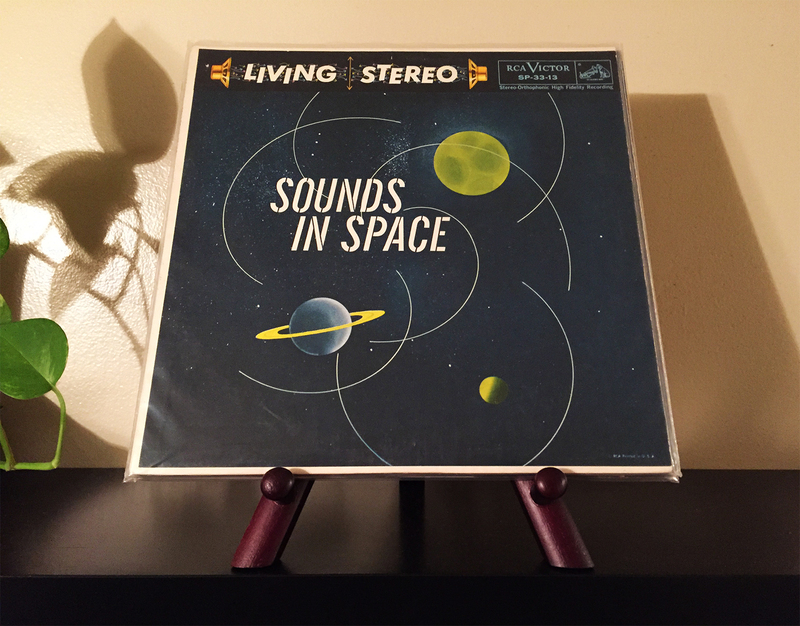 Sounds in Space is a wildly fun journey through these vastly-differing recording techniques, and if you’re a fan of classic, space age pop covers, this record is a no-brainer. 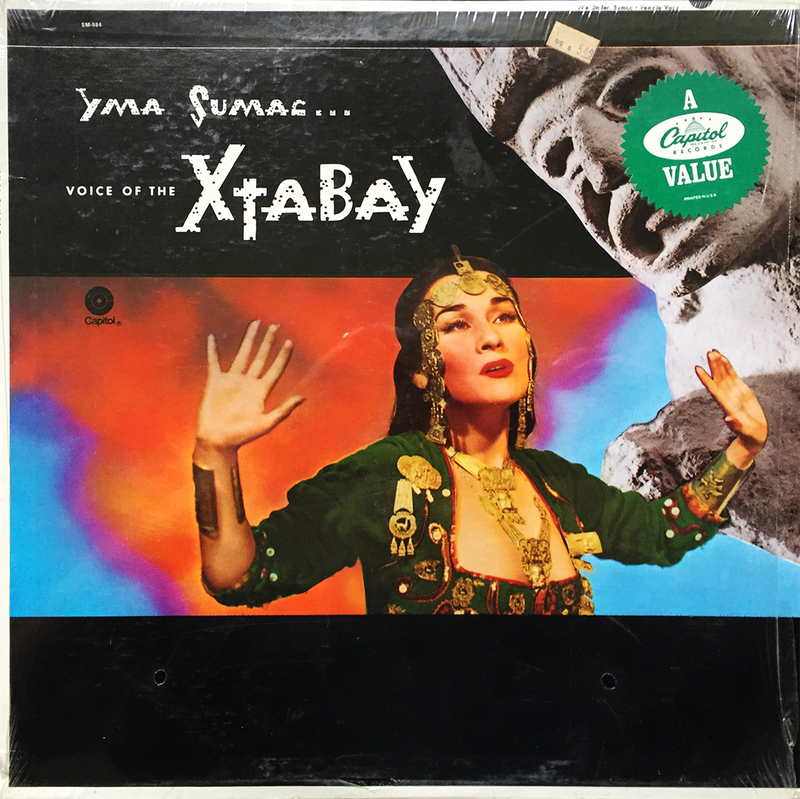 I couldn’t pass up the opportunity to purchase Yma Sumac’s Voice of the Xtabay, as a 12″ nonetheless! What the hell would have stopped ya’? You may ask. Well, Nosey Neil, I’d already been the proud owner of the original 10″, so my inner money-saver began prodding with “reasonable” questions… that was until I discovered that the 12″ not only contained all 8 tracks from the original 10″, but also all 8 tracks from 1953’s Inca Taqui. Pimped as A Capitol Records Value (sticker in top right corner), the clear and correct decision to obtain was swiftly and promptly applied. 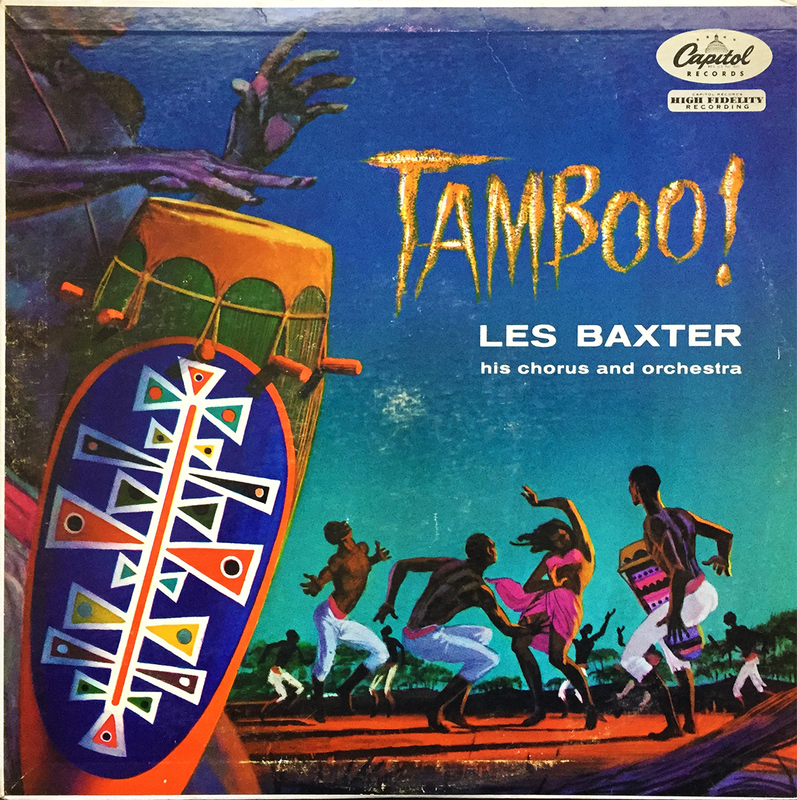 Let’s not forget that legendary Space Age Pop-per Les Baxter composed and produced Voices, so you pretty much know you’re getting quality music. The 12″ is a steal at any price, and comes highly recommended. 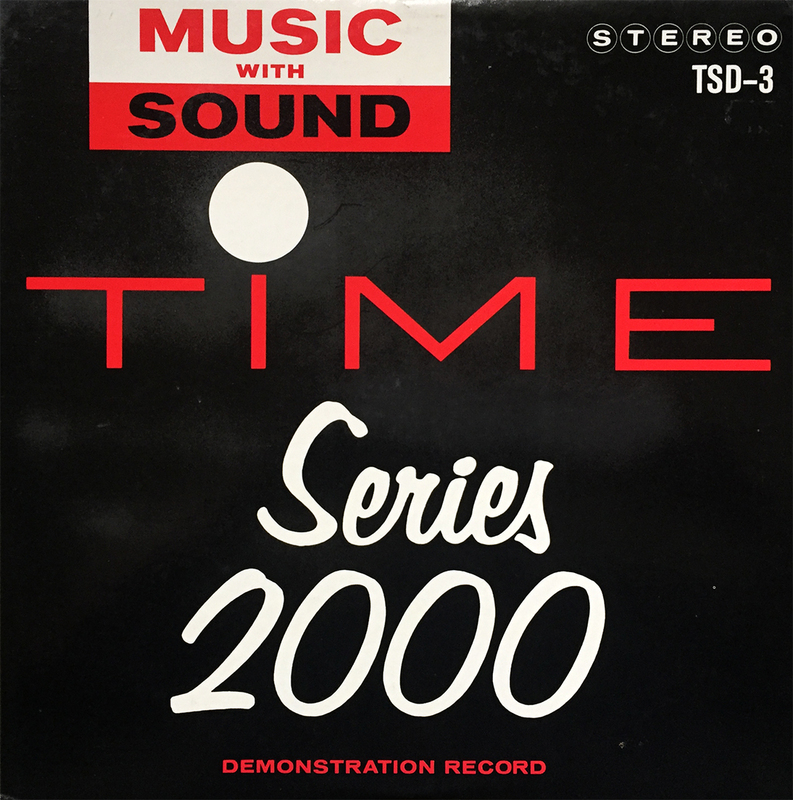 Time Records and their Series 2000 collection is a great partner (or competitor) to the early Command Record albums. 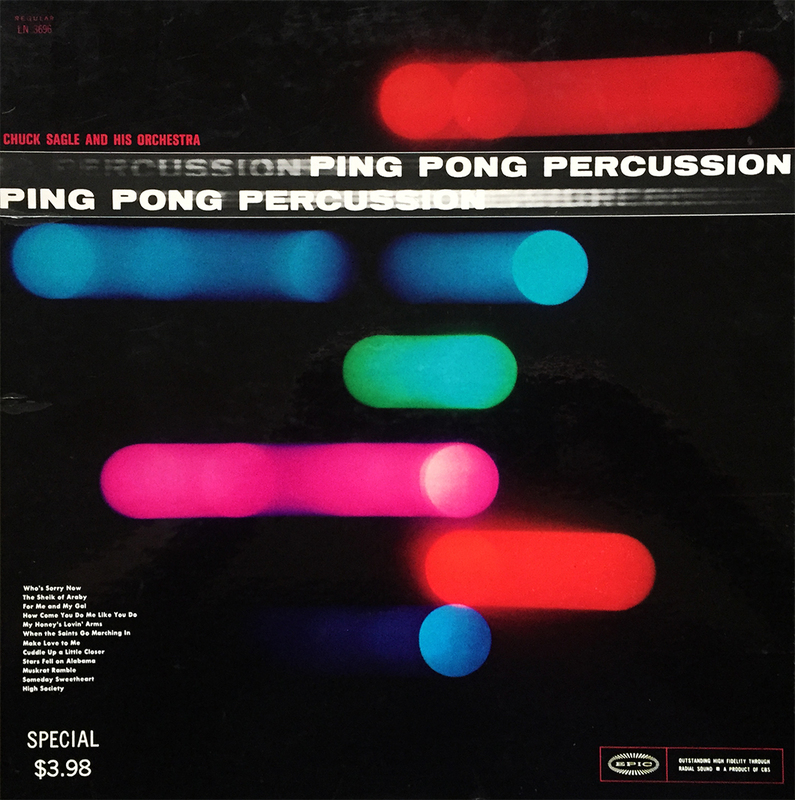 This self-proclaimed “demonstration record” is a perfect introduction to the series and contains choice selects from Jim Tyler, Hugo Montenegro, Maury Laws, Al Caiola, and Kermit Leslie (among others). If you’re looking to expand your Space Age Pop chops (and who among you isn’t? ), check out Music with Sound. Well, the time has come. 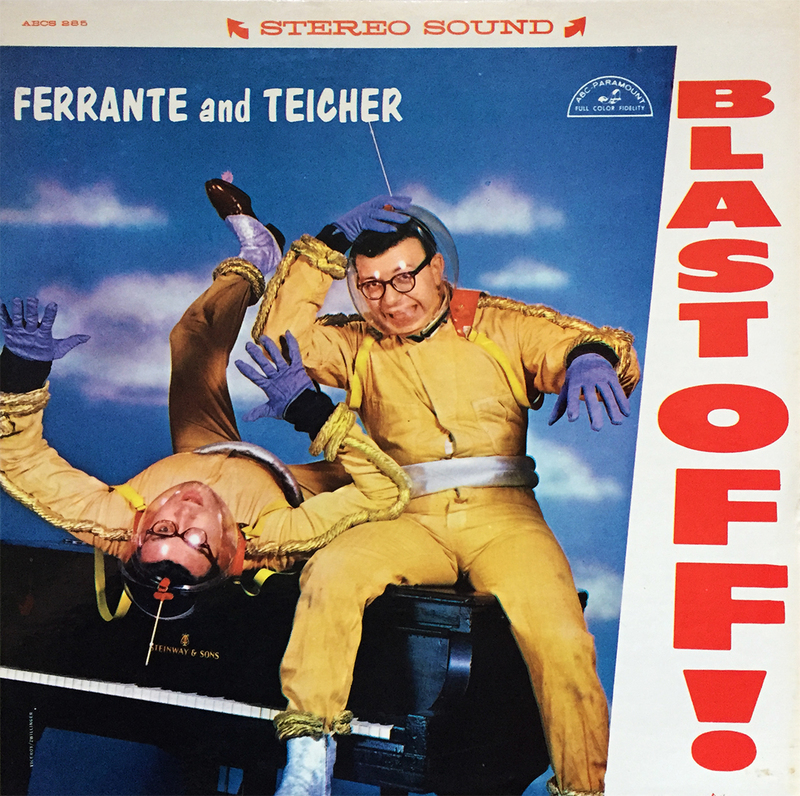 We finally completing the “Ten Basic Space Age Pop Albums” according to Space Age Pop Music with Ferrante & Teicher’s 1958 offering, Blast Off! 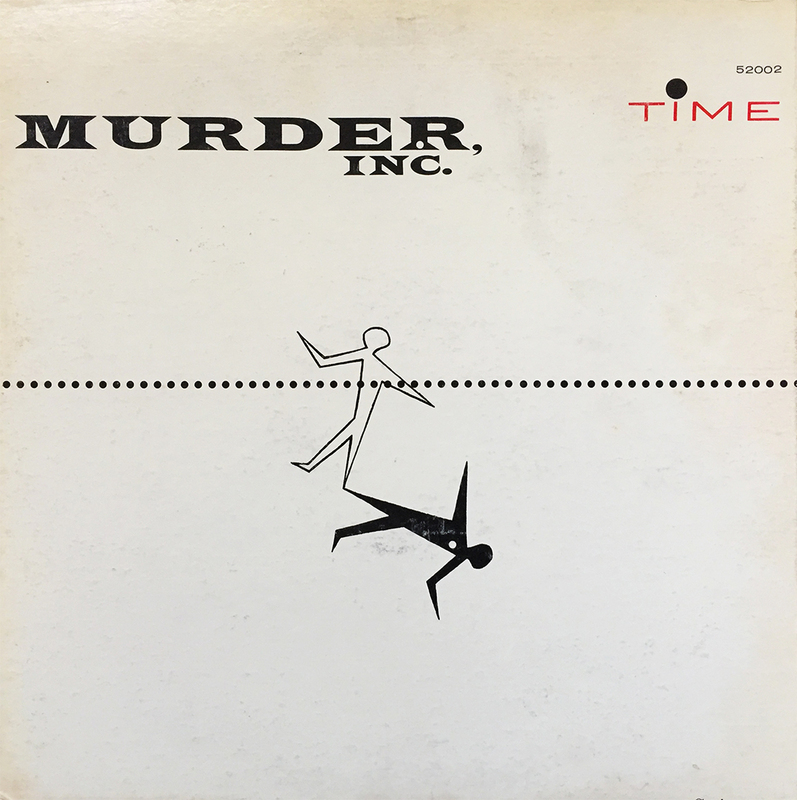 If pressed to say, Blast Off!, with its brilliantly campy cover aside, will likely get the least amount of spins when compared to the other classic albums on this custom checklist. 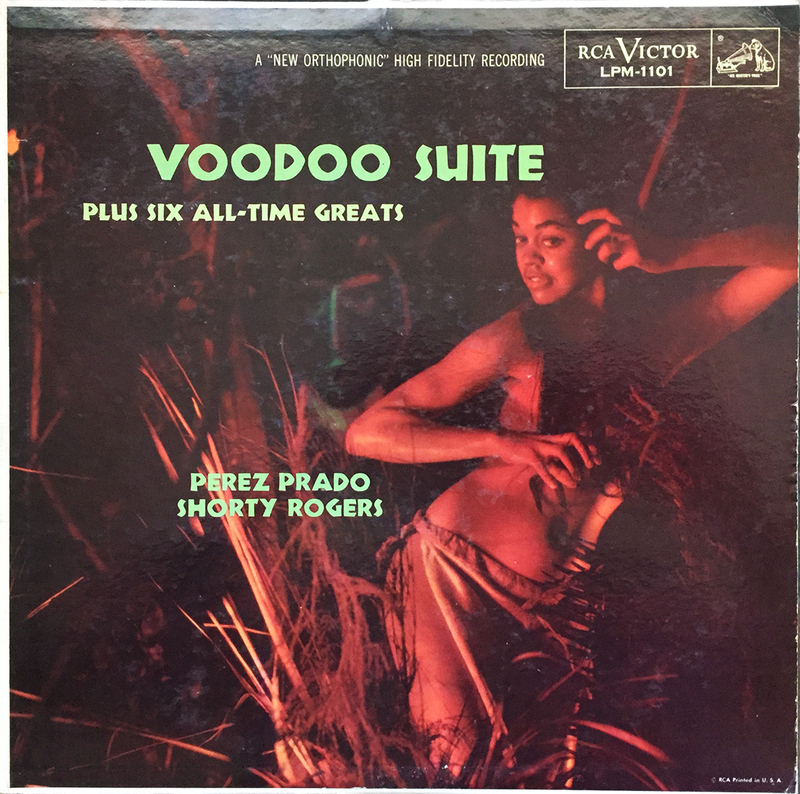 I mean, it’s hard to compare Perez Prado’s Havana 3 A.M. or Les Baxter’s Ritual of the Savage with the experimental and ear-piercing Blast Off!, but that being said, the cover alone is worth the price of admission. Good things often come in pairs… socks, cocktails, pears, and as far as I’m concerned, exotic bird caws and mysterious xylophone melodies are no different. Presented here are Arthur Lyman’s 1958 smash Taboo, and his 1960 follow up, Taboo Vol. 2. The former had been sitting in the collection for three or so years, but the latter just showed up at our doorstep (he shudders in the attempts to contain his excitement). 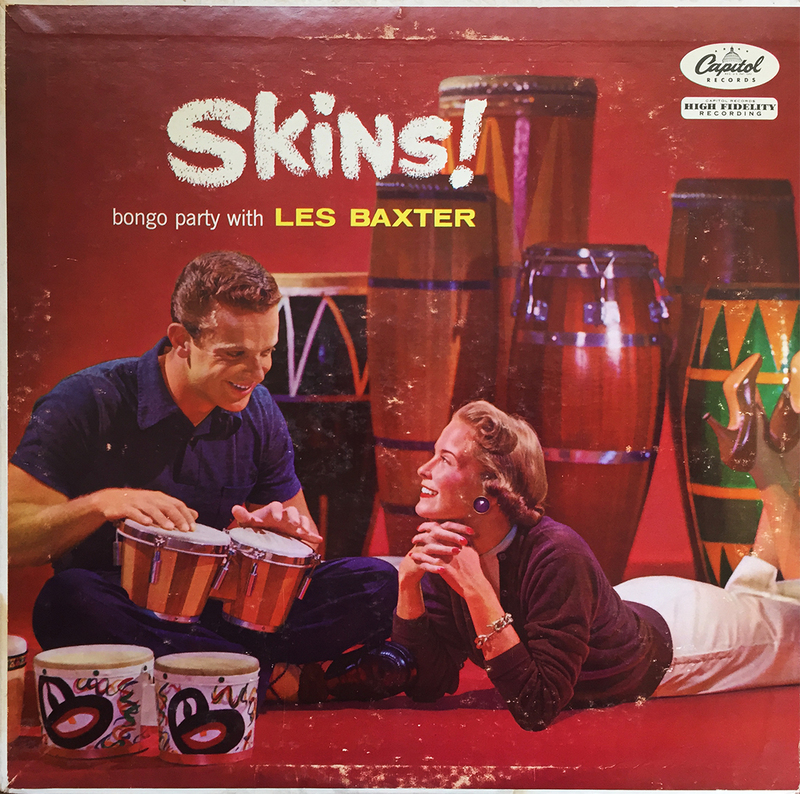 Now, I’m slowly beginning to realize that drunken bird calls aren’t necessarily for everyone (though I’m not entirely sure why), but both Taboo volumes do a phenomenal job of uplifting the listener to bygone nights of exotic, island bliss (think dirty feet, tiki torches, and a lot of rum). For you newbies, start with Taboo (obviously), and when you’re ready for that perfect paired compliment, hunt down Vol. 2. 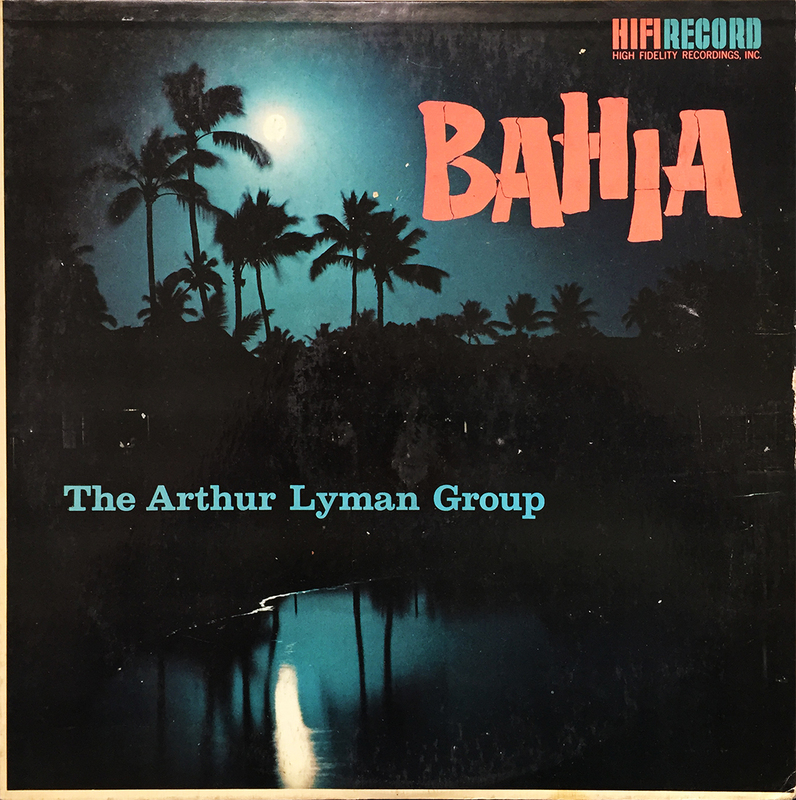 Like with all other space age pop albums, the exotic sounds of Arthur Lyman come highly recommended. 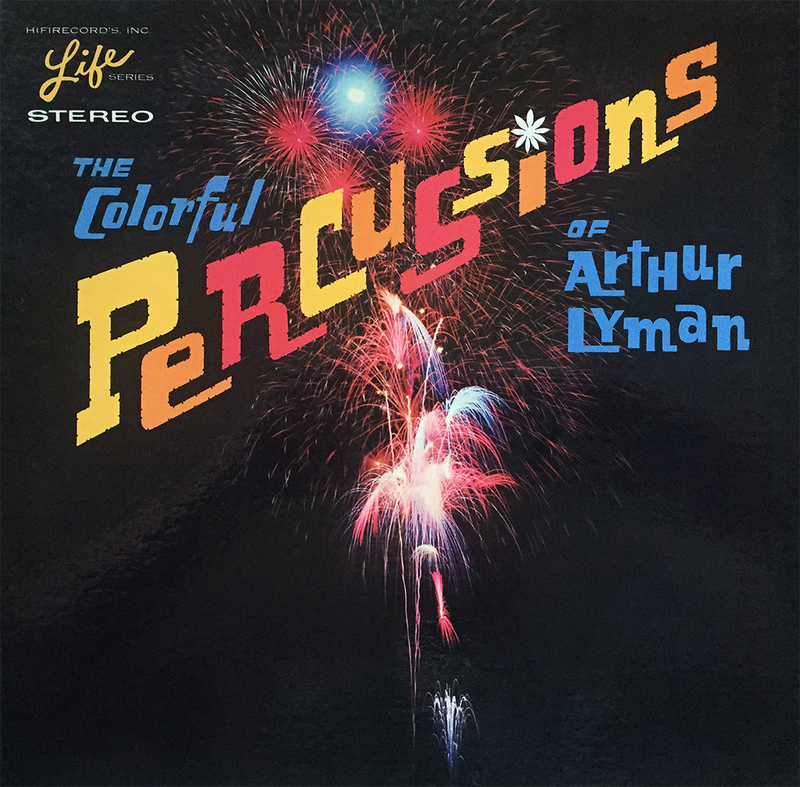 Arthur Lyman’s 1962 classic, The Colorful Percussions of Arthur Lyman, is a festive little listen that showcases, yet again, the many and varied talents of this Space Age Pop legend. Sandwiched between 1960’s Percussion Spectatular! 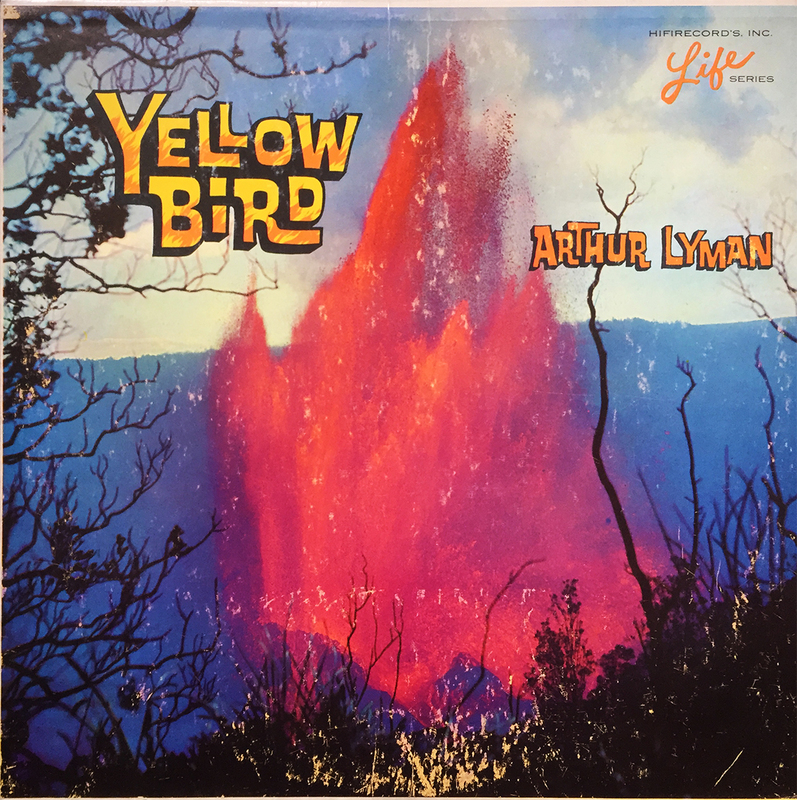 (a reissued as Yellow Bird) and Many Moods of Arthur Lyman (also 1962), The Colorful Percussions of Arthur Lyman is as vivid and explosive as the title and cover art suggests. This, like with any Lyman album, comes highly recommended. Good things come in small packages. 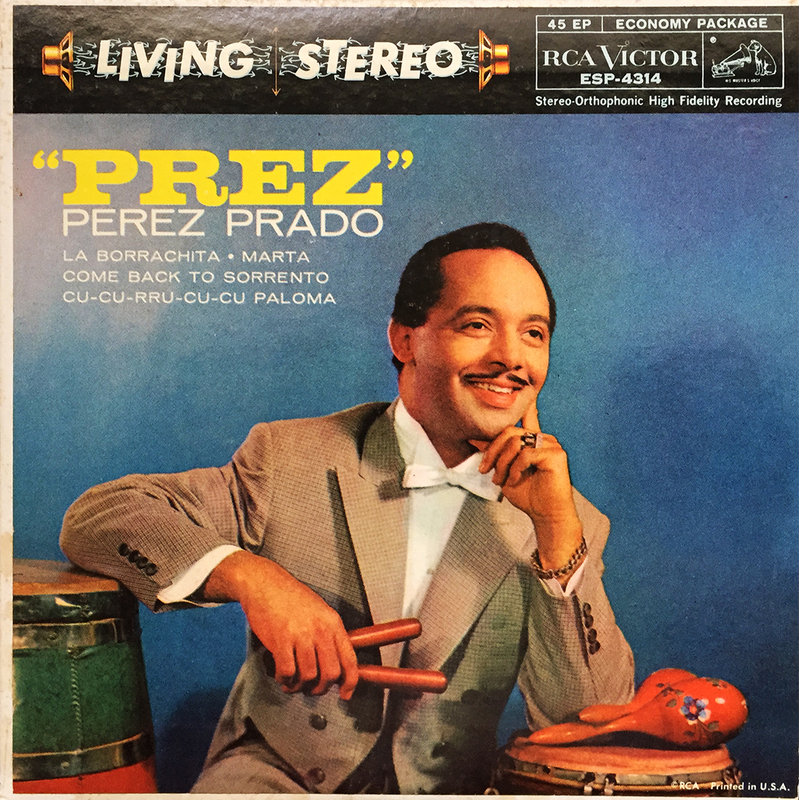 If you don’t believe me, take for example this 45rpm by Perez Prado on RCA Victor Records (1958) titled, “Prez.” Only four tracks, but this little 7″ packs a heavy Space Age Pop punch in full, living stereo. ESP-4314 for those keeping score. 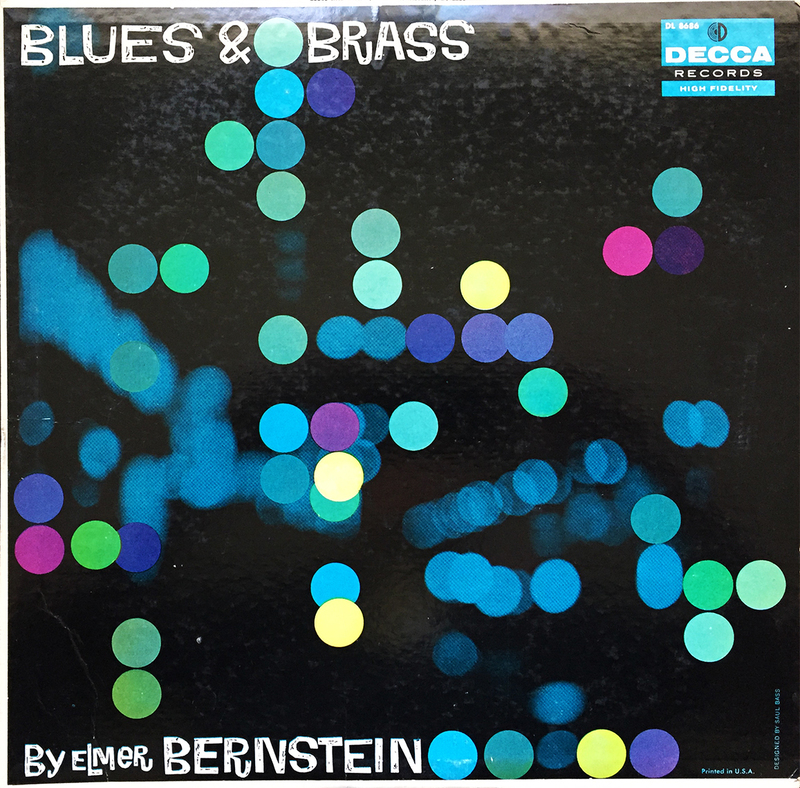 After the success of The Man with the Golden Arm (Academy Award nomination for Best Original Score), Mr. Bernstein ventured away from the silver screen and into the modest world of long play analog media storage. 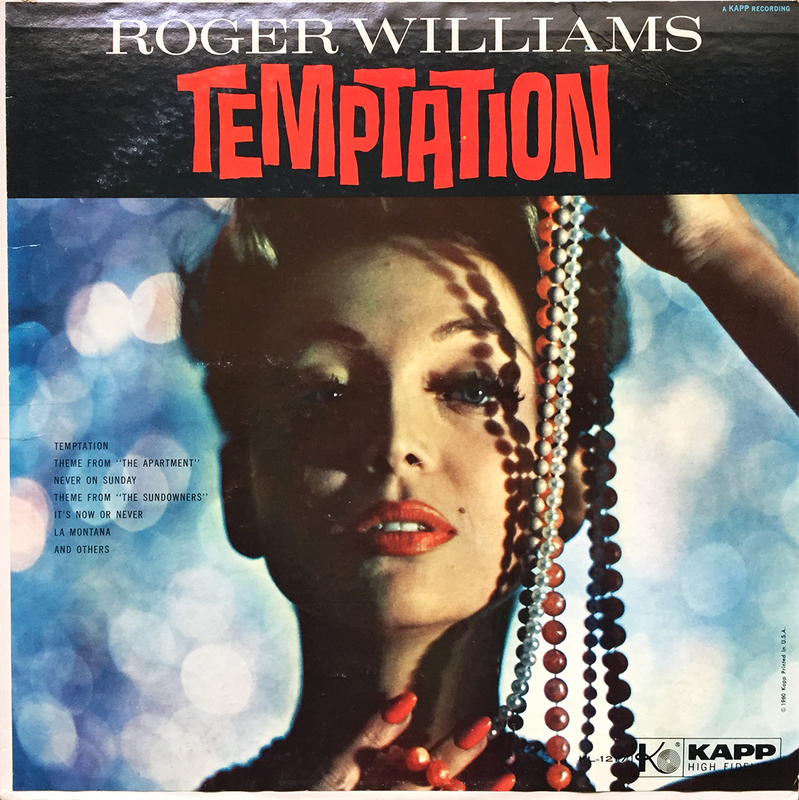 His first album is this 1956 release on Decca, Blues & Brass, which captures what the back sleeve describes as “city blues” throughout 12 dramatic and late-night-comforting tracks. 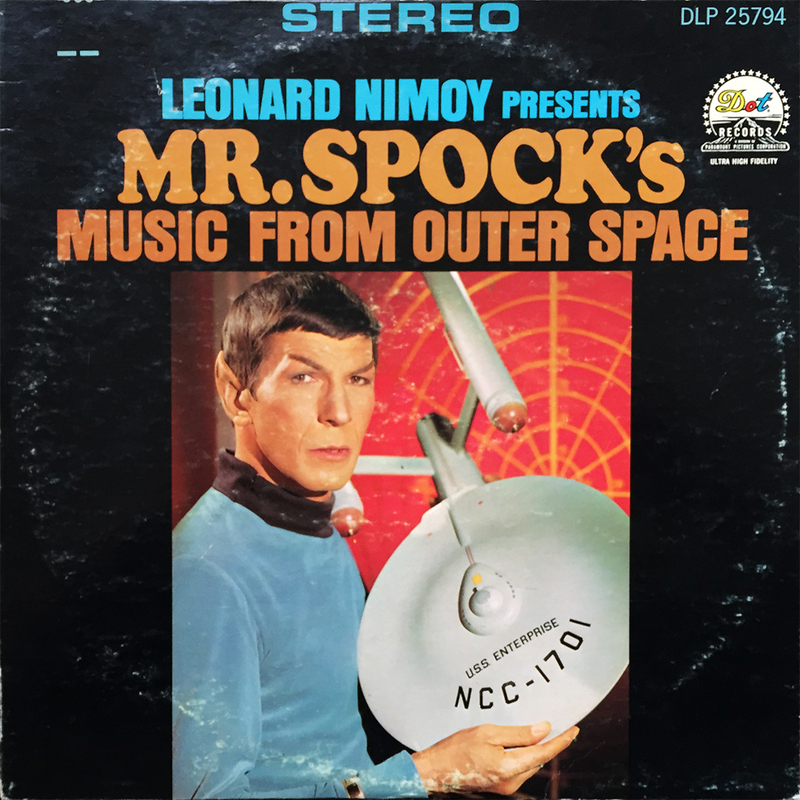 If Mr. Bernstein’s film scoring career wasn’t as hugely successful as it was (he scored The Ten Commandments the same year as this album’s release, mind you), he could have easily notched out a Space Age Pop, lounge-infused, groove-based career as a successful studio musician. Find this album. You’ll thank me later.